The title of this Storyteller Scrapbook Kit Layout is also family. 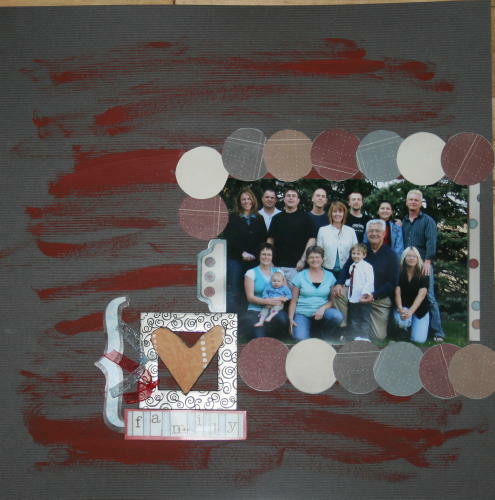 I randomly added some paint to the cardstock to give it an edgier look.Then I adhered the picture, hand cut the circles from the patterned paper, and used them to frame the picture of my family.I drew a heart on a scrap piece of patterned paper and glued it onto the metal frame. I tied 2 strips of ribbon around the side of the metal frame.